Covered Porch welcomes you to brick-cement sided home blending Traditional & Fresh Modern! Move-in-Ready. 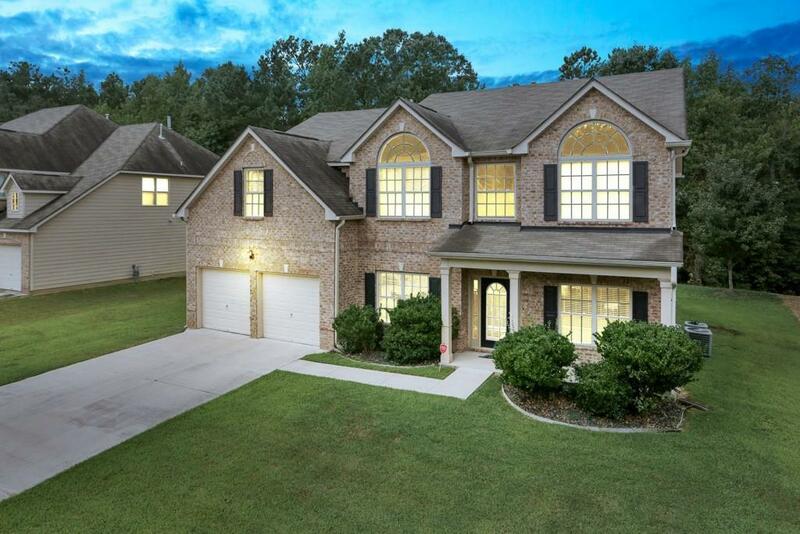 2-Story foyer open to Living & Dining Rm w coffered ceiling & crisp wainscot ~Chef's Kitchen w HARDWOOD-like Floor, GRANITE Ctops, STAINLESS Stl Appls, Gas Cooktp, ISLAND & NOOK ~Arched entries & bar flow to Stone FIRESIDE Family Rm ~Bedrm w Full Ba on MAIN level ~Wainscot stairs to landing w/sitting area ~Master w Ensuite Bath, Dble Vanities, Jetted tub & shower ~Huge secondary Bedrm ~Level Lot backs to Ultra-PRIVATE Mature Hardwoods & Greenspace! EXCELLENT Cond. Sold by Investor Solutions Realty, Llc..